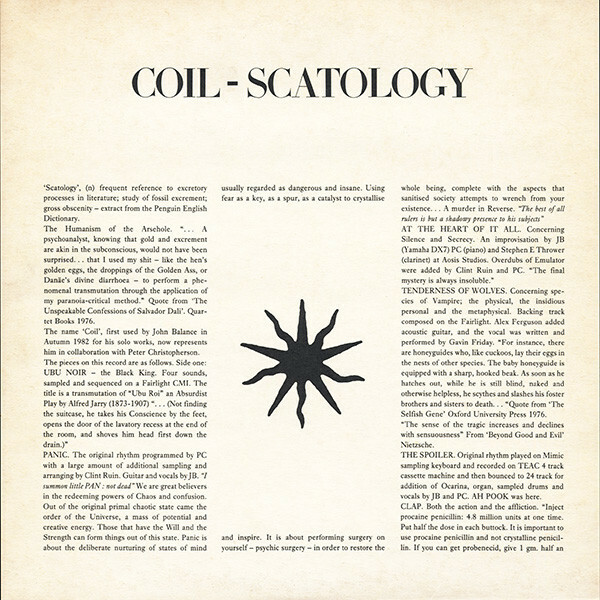 Coil – Scatology Sessions – Zero Equals Two! If interested, see more details in the accompanying illustrated pdf booklet. We at LCA hope you enjoy!